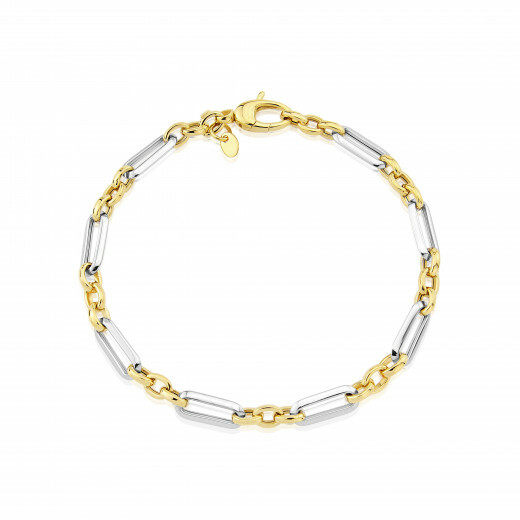 A contemporary and substantial chain Bracelet with alternating round and oval links. For each elongated White Gold oval link, there are three Yellow Gold round links and each one has a modern, squared edge finish. 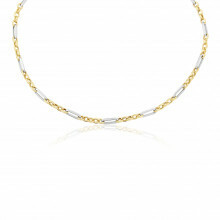 Elegant and unusual and one of our new additions to the Classic Gold Collection.